In the late spring of 1718 near the village of Požarevac (German Passarowitz) in northern Serbia, freshly conquered by Habsburg forces, three delegations representing the Holy Roman Emperor, Ottoman Sultan, and the Republic of Venice gathered to end the conflict that had begun three and a half years earlier. The fighting had spread throughout southeastern Europe, from Hungary to the southernmost tip of the Peloponnese. The peace redrew the map of the Balkans, extending the reach of Habsburg power, all but expelling Venice from the Greek mainland, and laying the foundations for Ottoman revitalization during the Tulip period. In this volume, twenty specialists analyze the military background to and political context of the peace congress and treaty. 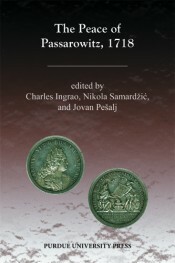 They assess the immediate significance of the Peace of Passarowitz and its longer term influence on the society, demography, culture, and economy of central Europe. Charles Ingrao is Professor of History at Purdue University. He has authored or edited many books on central Europe. He is founding editor of H-Net's HABSBURG discussion group and has served as editor of The Austrian History Yearbook (1997-2006). He is presently completing a book (with Bruce Pauley) on ethnic conflict in central Europe and directs the Scholars' Initiative, an international consortium of scholars dedicated to confronting the controversies of the recent Yugoslav wars. Jovan Pešalj is a teaching fellow at the Department of History, University of Belgrade. Nikola Samardžić is full time professor on Faculty of Philosophy, History Department, Belgrade University, Modern History Chairman.